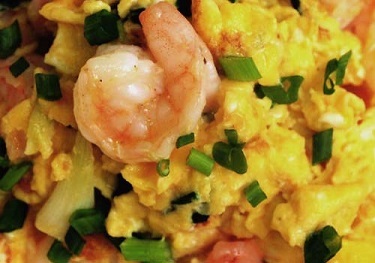 Total flexibility with this shrimp scrambled egg recipe! This is truly a "clean-out-the-frig" recipe. The restaurant sometimes has this item as a breakfast special on Monday's when there are fresh veggies and shrimp left from a busy Sunday. It sells well. 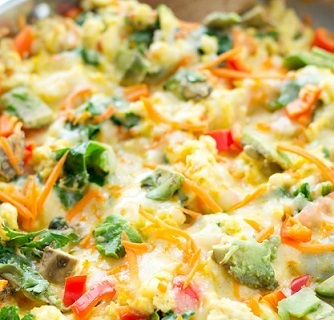 Yes, the recipe names some veggies to add to the eggs and shrimp, but you can use whatever you have "in house." 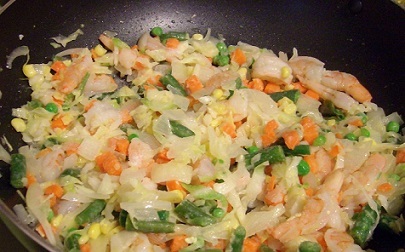 This breakfast (or lunch or dinner) item is basically a shrimp stir fry with the egg mix added. For this meal I almost always use the smaller bay shrimp. Preparation Time: 10 minutes. Servings: 1-2. Enjoy this delicious scrambled egg recipe with shrimp and the company of those you share it with! Did you know? 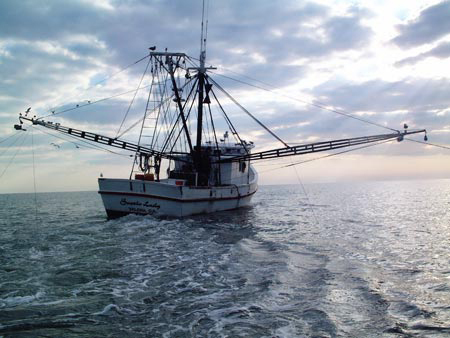 Small-scale local fishery for shrimp and prawns has existed for many centuries and continues to form a large proportion of the world's shrimp fisheries.